Peta Clancy is a Melbourne based photographer with an extensive background in the fine art and documentary fields. Drawing from her Aboriginal ancestry, Australian history and the Victorian landscape, her work spans analogue photography, installation and sculpture. We've had the pleasure of scanning Peta's 4x5 colour negatives for her upcoming exhibition Undercurrents, which she has been producing as part of her artist residency with Fostering Koorie Art and Culture. Peta has kindly shared with us some great insight into the motivations and processes behind her work and current residency project. The benchmark A2 fine art printer today, and our default recommendation for anyone wanting to make big, beautiful, archival prints in-house. Free Insured Nationwide Shipping with Epson P800 Printers. Accessories will still attract a shipping charge. Two Free Custom Printer Profiles (worth $100) With Any Printer Purchase! 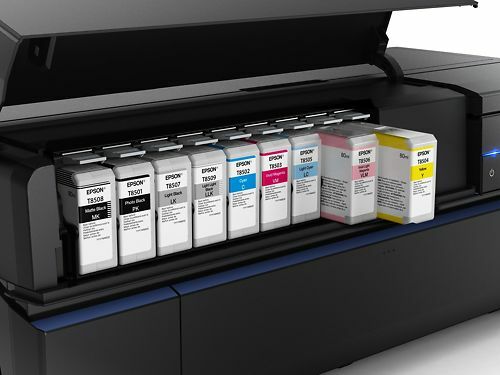 The initial charging inks supplied with the printer are 64ml vs. the normal 80ml cartridges, so you'll soon need another set to keep printing. Extend your Epson warranty to 3 or 5 years! 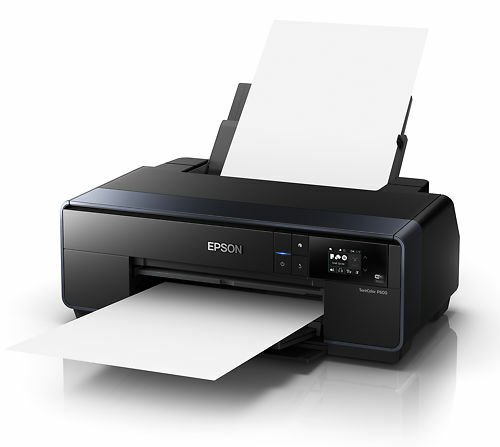 An affordable, compact innovative A2 printer for creative professionals - the replacement to the venerable Epson Stylus 3880 which has been our recommended printer for over 5 years. In short, when looking for an inkjet printer for high quality work, this should be the first one you consider. It's very well built, print quality is second to none for both colour and black and white, and it is inexpensive and simple to run. Once you get over the initial price, it will be a high quality printing tool for you for many years, with the on-going cost of ink some 30%+ cheaper than the smaller models. Note: Epson PRO Graphics printers do not come with a connecting USB cable. 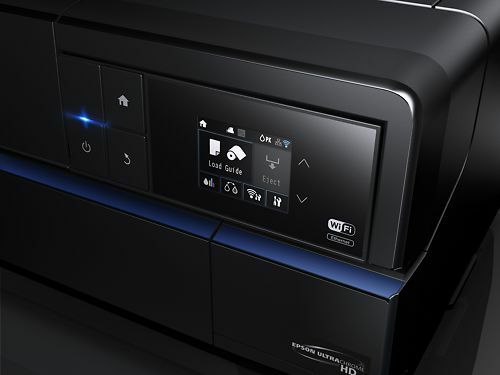 You can connect this printer via a standard USB printer cable, by ethernet to your switch/router or via your WiFi network. Wifi, USB and ethernet connection options. Apple iPrint and Google CloudPrint support. Comes with starter cartrdges - about 65ml in each (normally they have 80mls). This is enough to charge the print head and do a fair bit of test printing but do factor in a replacement set before too long. 1 year Epson Pro Graphics express warranty. More info on this here. High Quality Black & White? The Carriage Width is the maximum width of paper (on the short side) that can be used in the printer. Colloquially printers are more commonly referred to as 'A4, 'A3+' or 'A2' printers in Australia but of course not every country in the world uses the A paper system. Typically, A4 printers have a 9" carriage, A3+ printers are 13" carriage, and A2 printers a 17" carriage. High Quality Black and White? Does the printer have a dedicated, high quality black and white mode for photographic printing? Almost all ink printers have a 'black only' type mode, but that is quite different to what we're talking about here. In this mode, called by Epson 'Advanced Black and White' mode or simply ABW, the printer uses multiple grey inks (AKA light black, light light black inks) to produce smooth black and white tones with little to no colour interference. This is the maximum dot resolution of the print head. The higher the number, the smaller the dots of ink the printer can place. Note that this has nothing to do with image resolution of course. The printer uses several ink dots to form the colour of one pixel. However the dots are so fine and closely mixed together you can only really see this screening pattern with a magnifying glass. What physical connections are possible? Wireless support is listed separately below. Options include USB, Firewire, Thunderbolt, and Ethernet. Does the printer support wireless, and if so what speeds and standards. Most modern routers will offer at least G, which is fast enough to run a printer. N and AC are quicker and good to have but they won't make your printer faster unfortunately! If you use Apple devices like the iPad or iPhone, you'll want Apple Print support, allowing you to print directly from your device to the printer. For Android devices, Google Cloud Print is the equivalent system. 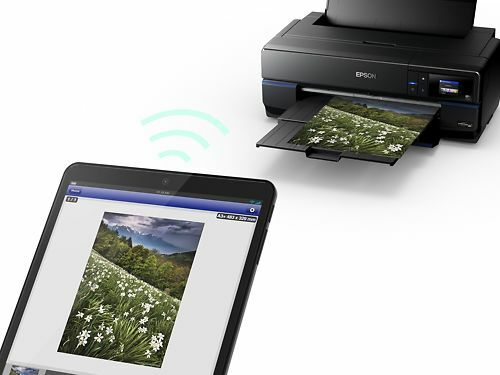 Epson Connect offers a further option but generally you'll use one of the two main options above with modern devices. Does the printer support printing to printable CDs and DVDs? The sheet sizes supported by the printer out of the box. You can also generally define your own custom sheet sizes in the driver if you want to use unusually sized materials. (Note, though, that you can't typically print borderless to custom sheet sizes - the standard workaround is to use sheets slightly larger than you need, and then simply guillotine to the printed edge after printing). Does the printer support roll media, and do you need an accessory device for this? Even if the printer doesn't support roll media, you can still buy rolls, cut sheets from the roll, and use those. Just leave them to flatten for a few days as paper curl can be a painful issue with printers. Can the printer print right to the edge when using roll media? Extended warranties are available with the Epson P800 Printer & extend the existing 1-year on-site repair warranty to up to 5 years. Please note: Epson warranties are only available at time of printer purchase. Fantastic, very well tested, original Epson UltraChrome HD inks and maintenance tanks for the SureColor P800. 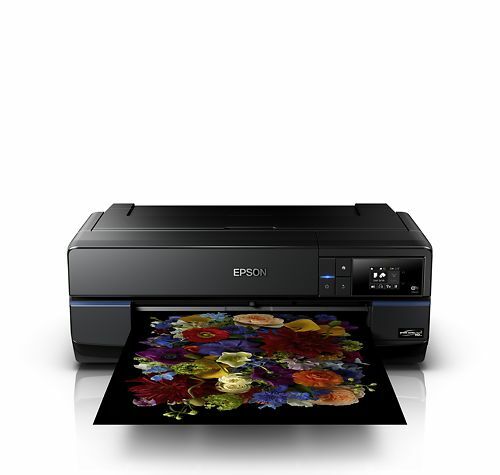 Hand curated articles, links and downloads to help you get the best from your Epson SureColor P800 A2 Inkjet Printer. Tips on getting thicker papers to load through Epson Printers. Basic things you can do to solve head strikes and blotches on inkjet prints. A discussion on paper curl with inkjet papers and some tips on how to solve it. How Much Ink Do Inkjet Printers Use? Some thoughts on ink usage in inkjet printers and basic calculations. Information on the availibility of manufacturer stock profiles and quality issues. How to handle your inkjet prints after they have been printed - including spotting, trimming, coating, packaging and storage. 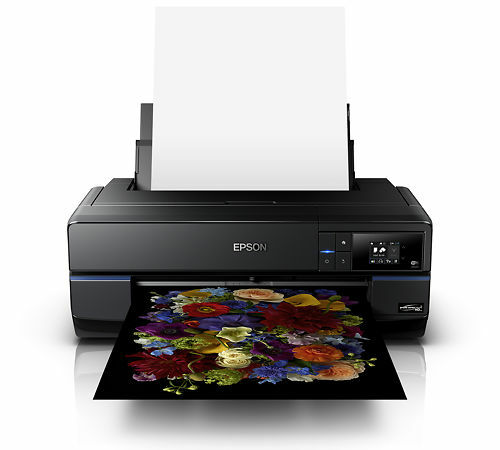 Epson Australia products are backed by a 12 month warranty covering any defect in materials or workmanship. 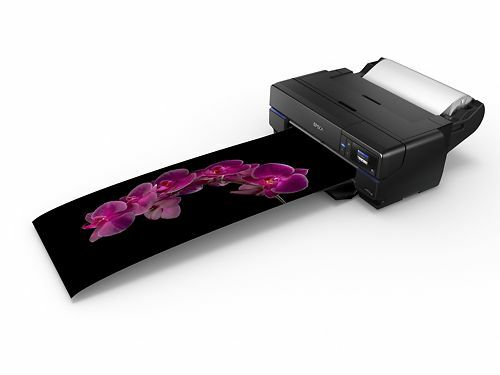 A great A3+ inkjet photographic printer with significantly improved black densities.